When Basmasuran was killed by Siva & Vishnu (Vishnu in the form of Mohini), Duraasadan Basmasuran's son was angry and upset.He did tapas & got boons from Shiva that he should never die and that all the devas should be under his control, etc.As usual Shiva gave him the "varam" & there was total chaos for some time. All the Devas ran into hiding & even Brahma & Vishnu ran out of their Brahma Lok & Vaikundam.All of them rushed to Kashi which was ruled by Viswanathar.On hearing of this Duraasadan then came to Kashi.All the Gods and Devas rushed away to Kedaram,because the time was not yet right to kill Duraasadan. Soon,on the prayers of the Devas,an avatar of Lord Ganesha came out of Uma Devi's face. (with five faces, 10 hands, Jada magudam with moon).Uma Devi named him Vakradhundar and gave him her Simha Vahanam (lion). There ensued a heavy fight between Vakradhundar & Durasadan. Finally Ganesha took a huge form ( Viswa roopam ) & placed his feet on Duraasandan's head.Since Ganesha is the form of Gnanam,all evil thoughts and the effects of his evil deeds rushed out of Duraasadan. Then Lord Ganesha gave him the job of destroying all the evils in Kashi.He remains under Vakradhundar's feet doing his duty. During the wedding of Siva with Parvathi in the Mount Kailas, the entire population, Devas and Rishis had gathered & hence the Northern land dipped down, unable to bear the weight. Lord Siva asked Sage Agasthiar to go to the Podhigai ranges in the Southern land in order to balance the weight. (Agasthiar was very short in stature but his might was so great). Agasthiar was sad that he could not stay & witness the Lord's wedding. Siva granted that he would still be able to see the wedding from the South. From within his matted locks, he took river Cauvery & filled it in Agasthiar's kamandalam (spouted pot), bidding Cauvery to flow wherever Agasthiar pointed. Agasthiar reached the south & travelled to various Siva Sthalams. Surapaduman was an asura, who had immense power. Indra had run away in fear from his Indralogam, reached Sirgazhi in the southern regios of India & prayed to Lord Siva. He created a beautiful garden & worshipped Lord Siva with the flowers from his garden. But soon, Lord Varuna in fear of Surapaduman did not shower rains & Indran's garden & in fact the whole land suffered from lack of water. Sage Narada, told Indran of the river Cauvery that Lord Siva had once filled in Agasthiar's kamandalam. Indran prayed to Lord Ganesha for his help. Ganesha took the form of a crow & sat on Agasthiar's kamandalam & toppled it. Agasthiar lifted his hands to shoo off the crow. River Cauvery, took it as a signal for her & began to flow. The crow took the form of a small boy. Agasthiar started chasing the boy trying to strike him on his head with his knuckles. Ganesha took his original form. 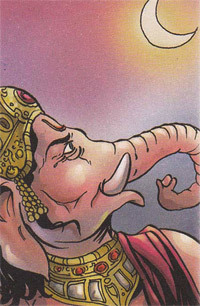 Agasthiar was saddened that he had tried to strike Lord Ganesha. He started striking his forehead with his knuckles. Ganesha stopped him & granted that everybody who worshipped him in this manner would be blessed with wisdom. Another version of the same story - Ponni, as Cauvery was originally called, was disrespectful to Agasthiar when he came down south. To teach her a lesson, Agasthiar imprisoned the entire river in his kamandalam. Ganesha on sage Narada's request came in the form of a crow and toppled the kamandalam & set the river free. Ponni was then given a new name, Cauvery (Kaveri). Kubera became very frightened. Ganesha told him, " You promised my parents you will feed me. Now, I have to eat you up as I am still very hungry ". Kubera ran away and pleaded with Shiva to save him from Ganesha. Shiva asked Kubera to give up his pride and serve Ganesha a handful of rice. Kubera went back to his palace. By this time, Ganesha's stomach had become very huge but the child was still hungry. When Kubera served a cup of rice with humility, Ganesha's hunger was satisfied. There was an asura called Gajamugasuran. He did deep penance and worshipped Lord Siva, who granted him several boons, by which he became extremely powerful. He put the Devas and rishis to great trouble. 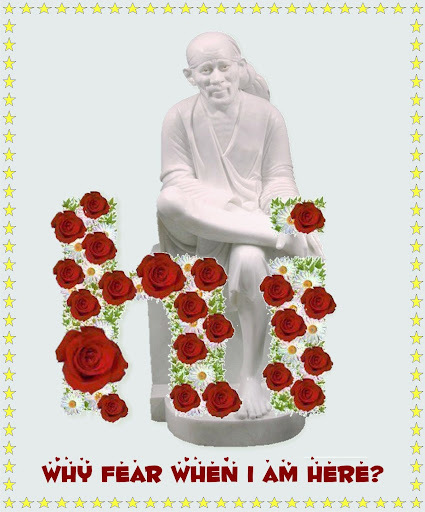 He forced the Devas to do 1008 Thoeppukaranams in the morning, 1008 in the afternoon and 1008 in the evening. (Thoepukaranam means to sit down and stand up holding one's ears with crossed hands, left ear with right hand & right ear with left hand). The Devas prayed to Lord Siva to rescue them from this evil asura. Lord Siva sent Lord Vinayaga to overcome Gajamugasuran. Vinayagar went with several weapons such as bow & arrow, sword, axe, etc. However, since Gajamugasuran had been granted the boon that he be destroyed by no weapon, none of these weapons used by Lord Vinayaga were effective. Vinayagar broke off his right tusk and used it to kill Gajamugasuran. Gajamugasuran still rushed at Vinayaga in the form of a mooshikam (small mouse). Vinayagar crushed the ego and vanity of Gajamugasuran and sat on the mooshikam. The humbled Gajamugasuran bowed before Vinayagar, who accepted the mooshikam as his vahana. Lord Vinayaka is the source of everlasting wisdom. He crushed ego and vanity and reduced it to the size of a mooshikam and used it as his vahana. Lord Vinayagar can be pleased by doing Thoepukaranam. "Why Ganesha has broken tusk ! Ganesha is known as Ekadanta, the one with a single tusk. The first pertains to his battle with Parashurama, who was the 'Avtaar' of Vishnu, As a human on earth, he meditated on Shiva and obtained the devine axe, parashu,with whose help Parasurama waged wars against all the erring princes and cleared the world of their evils. Deeplyindebted to Shiva,Parasurama then came to mount Kailasa to pay obeisance to his mentor Ganesha,who was guarding the entrance to his father's chamber,would not let him in,saying he had to wait till he gets the permission from his father,Shiva. Parasurama felt that he,the devotee,needed no permission. 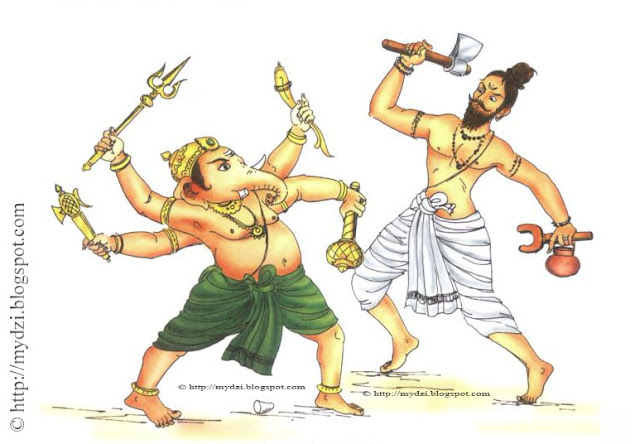 When Ganesha still refused to give in,Parashurama,who was always very hot tempered struck Ganesha's tusk with his axe and broke it.Shiva and Parvati appeared before him and chastised him. Parashurama then apologised and worshipped God Ganesha. Ganesha then forgave Parashurama and gave him blessings. Ganesha, the pot-belied elephant god, loved food and could spend an entire day, eating. Once, on a moonlit night after stuffing himself with his favourite sweet, the ladoo, he went for a ride on his vahana a tiny rat. The rat could not bear his weight and tripped. Ganesha fell on the ground with a thud and broke a tusk. The moon laughed, seeing this funny sight. Seeing the moon mocking him, Ganesha got angry. He cursed the moon saying that any man who looked at the moon on Ganesha Chaturthi, the birthday of Ganesha, would be wrongly balanced. The moon, realised its mistake, and begged Ganesha to remove the curse. But Ganesha was adamant. Finally, after a long time, Ganesha gave in and reduced the punishment. He could not take back his curse but said that the falsely accused man would have to look at the moon on the second day of the fortnight to win back his good name. Long ago in Mount Kailasa it was a very calm atmosphere with all the sages worshiping Lord Shiva. Both Ganesha and his elder brother Muruga were playing at the feet of Lord Shiva. One day Sage Narada arrived there, playing on his veena and chanting a “Hara-Hara! Shambo Maha Deva!” Lord Shiva welcomed him gracefully. After offering his obeisance to Lord Shiva and Mata Parvati, Narada offered them a very special mango fruit. Upon seeing this, both Ganesha and Muruga waited anxiously to receive the fruit. So Lord Shiva decided to conduct a contest to choose the right person for the fruit. Who ever circles the world first would be considered as - "The winner"
Both agreed and the brave young Muruga started his journey around the world at once. "Within a second I will go around the world upon my blue peacock," he thought to himself. The blue peacock fluttered its wings like a golden chariot an flew around the world in the blink of an eye. he exclaimed, " Here I come ! I won and looked at Ganesha. Ganesha replied very firmly - "No, I finished first. I have done it three times but you have done it only once and that makes me the winner! And Ganesha looked at his parents for their approval. "Ganesha is right",said Parvati to Muruga," he has won the race! because of his intelligence. Thus Ganesha claimed the prize fruit. And made the moon to wax and wane in tides. The seeker's shield, the farmer's fertile field. Obedience their cherished offspring's glee. By blood, by marriage and proximity. While faithful friends preserve community. Or common conduct performed consciously. And Siva's slaves earn grace's rarity. From soul's dark night -- these griefs asuric end. When Basmasuran was killed by Siva & Vishnu (Vishnu in the form of Mohini), Duraasadan, Basmasuran's son was angry and upset. He did tapas & got boons from Siva that he should never die and that all the devas should be under his control, etc. As usual Siva gave him the varam & there was total chaos for some time. All the Devas ran into hiding & even Brahma & Vishnu ran out of their Brahma Logam & Vaikundam. All of them rushed to Kasi which was ruled by Viswanathar. On hearing of this Duraasadan came to Kasi. All the Gods and Devas rushed away to Kedaram, because the time was not yet right to kill Duraasadan. Soon, on the prayers of the Devas, an avataram of Lord Ganesha came out of Uma Devi's face. (with five faces, 10 hands, Jada magudam with moon). Uma Devi named him Vakradhundar and gave him her Simha Vahanam (lion). There ensued a heavy fight between Vakradhundar & Duraasadan. Finally Ganesha took a huge form (Viswa roopam) & placed his feet on Duraasandan's head. Since Ganesha is the form of Gnanam, all evil thoughts & the effects of his evil deeds rushed out of Duraasadan. Lord Ganesha gave him the job of destroying all evil in Kasi. He remains under Vakradhundar's feet doing his duty. These four are not the same as the eight incarnations of Ganesha that are described in the Mudgala Purana. Mahotkata Vinayaka (Mahotkaţa Vināyaka), who has ten arms and a red complexion. Different sources list his mount (vāhana) as either an elephant or lion. He was born to Kashyapa (Kaśyapa) and Aditi in the Krita yuga. The name Kāśyapaḥ (descendant of Kaśyapa) for Ganesha refers to this incarnation. This incarnation killed the demon brothers Narantaka (Narāntaka) and Devantaka (Devāntaka), as well as the demon Dhumraksha (Dhūṃrākşa). Dhumraketu (Dhūmraketu) is grey in colour, like ash or smoke (dhūmra). He has either two or four arms. He has a blue horse as his mount. He will come to end the decline of the Kali yuga. During this incarnation he kills numerous demons. Grimes notes that there is a parallel between this incarnation of Ganesha and the tenth and final incarnation of Vishnu, where he will ride upon the white horse Kalki. The other difference is, lord Gajanana tells Varenya that the whole universe and all the gods are created by Gajanana and ultimately everything will come back to him including the Gods like Bramha, Vishnu and Mahesha. Thus, the fifth head of Ganesh symbolizes the highest level of yogic experience, called Anandamayakosha, or Sat-Chit-Ananda , the Pure Consciousness without qualification. Thus this form of Lord Ganesha when kept in home/office , brings auspicious vibrations of spirituality, harmony and bliss. Whatever Lord Ganesha undertook, he undertook with conviction and self-belief. It was the belief that his actions were in his and his mother Parvati's best interests is what governed his thoughts and translated into challenging acts, feats that improved his abilities and honed his skills. It is this that we need to inculcate in ourselves, in the way we work. Any job, if it is worth doing, is worth doing well. Whatever the task you are faced with, face it with courage and conviction and do it to the best of your ability. At the end of the day, even if your effort goes unrecognised, you have the satisfaction of knowing that you gave it your best shot. 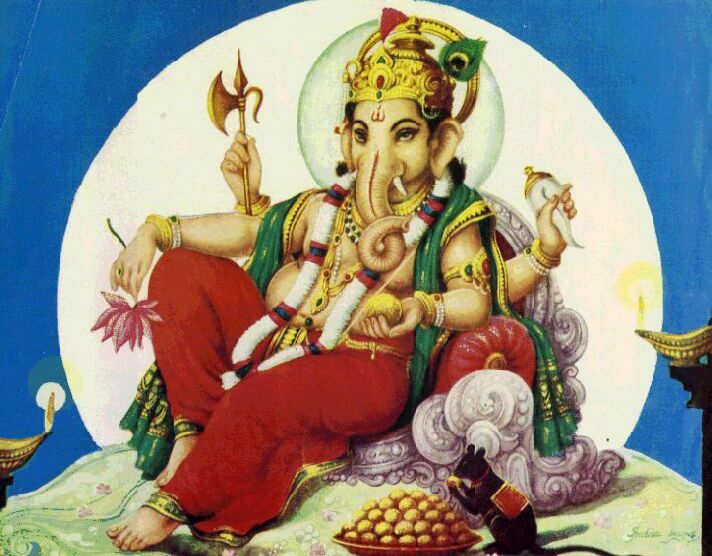 One of the other names Ganesha is known as is Vinayak, meaning master of oneself. This signifies independence in thought and action. Whether in one's professional or personal life, one must act on one's beliefs after due consideration of relevant factors. Take ownership and responsibility for your actions and their outcome. Just knowing that you alone are responsible will make you take the decision that much more seriously. 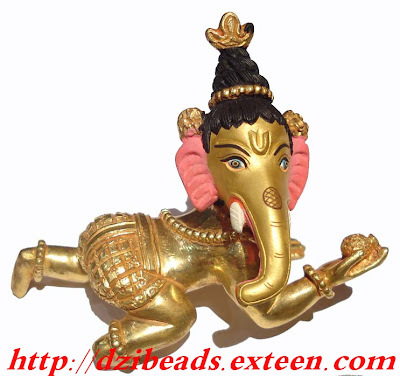 Lord Ganesha is also known as Vigneshwara, one who removes obstacles. It is for this reason that he is invoked in times of crisis by believers and also why business ventures are started with a puja (prayer ceremony) in his name. Removing obstacles is his religion. 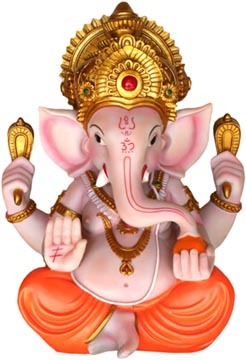 Lord Ganesha is considered one of the most powerful gods in Hinduism, unlike the other gods who choose bejeweled chariots, his vehicle is the modest mouse. The mouse is seen to signify darkness and, as the Lord's vehicle, is believed to signify the journey from darkness (or ignorance) to light or enlightenment. While Lord Ganesha has been attributed with many of the qualities proverbially credited to elephants, the most well-known are the ears and trunk -- which suggest curiosity, the quest for wisdom and knowledge. His large head and ears are said to indicate an open-minded attitude that helps him accrue wisdom. No wonder that Ganesha is the venerated and propitiated deity of the Hindu pantheon. Reputed to be the remover of obstacles, no fresh venture whether it is the building of a new house, the writing of a book, the beginning of a journey or the starting of a new business is undertaken without first seeking Ganesha's blessings. Also known as the God of wisdom and prudence, which is exemplified by his two wives, Riddhi and Siddhi. His knowledge of the scriptures is legendary. When Vyas Dev, the author of the epic Mahabharata was looking for someone who could pen his thoughts in a clean hand, without breaking stride, he turned to Ganesha, who in turn stipulated that the diction should never falter. Thus the legend goes; the largest epic in the world came into existence. 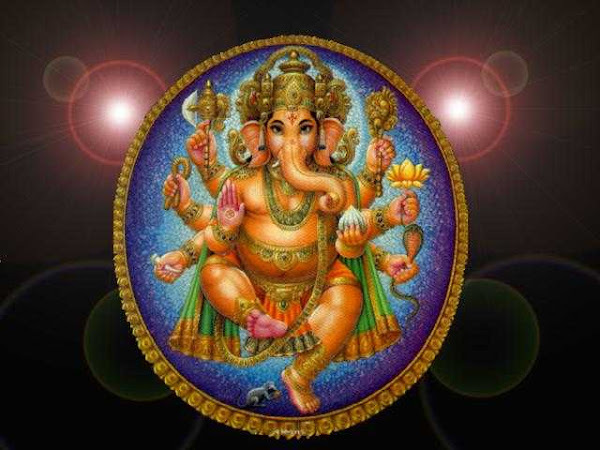 Prayer for Sri Ganesha – using all His Names. Page created in 0.395 seconds with 69 queries.